20 posts categorized "Retired Stamps For Sale"
Huge Retired Product Bundle Sale Round 2!!!!!!!! I am having a huge Spring Clean Out Sale!! After 20 + years of crafting I decided it was time to part with some items as hard as that was for me! I find comfort in knowing they will go to good homes :) I have LOTS of fabulous unique bundles and items at some AWESOME discounted prices! This is my second batch of goodies to see everything I have visit HERE. Disclaimer: I've tried to have an accurate count as possible on the card stock, dsp and etc. If my count is off I apologize I am human after all :) If you notice that I have accidentally included any current stamp sets, please notify me immediately and I will remove that from the offering and replace it with a different retired set of my choice. I made every effort to ensure these are all previously retired stamp sets, and I hope I didn't miss anything! Each bundle has a name, price and what is in the bundle below each picture. All bundles ship FREE!! Email me at rubberredneck@gmail.com with which bundle or bundles you would like to purchase, please include your name, full addres, please let me know if you want to purchase insurance, and the email you use for Paypal (please make sure your address is current I will not be responsible for incorrect address information). If you are the 1st to respond, I will send you a Paypal invoice. Invoice must be paid within 24 hours. Your bundle or bundles will be mailed within 3 business days after receipt of payment. All stamps are "as is", most are mounted and most are gently used, some might be slightly stained (some sets are brand new). Bundles must be paid for via PayPal and buyers must be in the U.S. Please Note~ Some old stamp sets have the same name as newer current sets. I am ONLY selling the Retired Sets. These bundles feature Stampin' Up! 's retired and rare colors. Monogram Z & O Stamp Set/ Brand New spell out Zoo great for a kids party! Monogram X/Wood/Set of 1 Stain X for marks the spot treasure hunt, map and etc. Rubberredneck Online Huge Spring Clean Out Sale!! I am having a huge Spring Clean Out Sale!! After 20 + years of crafting I decided it was time to part with some items as hard as that was for me! I find comfort in knowing they will go to good homes :) I have LOTS of fabulous unique bundles and items at some AWESOME discounted prices! Email me at rubberredneck@gmail.com with which bundle or bundles you would like to purchase, please include your name, full address, please let me know if you want to purchase insurance, and the email you use for Paypal (please make sure your address is current I will not be responsible for incorrect address information). If you are the 1st to respond, I will send you a Paypal invoice. Invoice must be paid within 24 hours. Your bundle or bundles will be mailed within 3 business days after receipt of payment. All stamps are "as is", most are mounted and most are gently used, some might be slightly stained (some sets brand new). If you purchase $100 or more of my retired bundles you will receive my New 2018 Stampin' Up! Catalog Package. These bundles feature retired Stampin' Up! Stamp Sets, Embellishments, Sizzix Dies and ribbons. Each bundle is a fun assortment of products that I have bundled together to create a fun kit! Each Bundle has a list of what will come with that bundle of goodies. If you have any questions please feel free to email me! Thanks for watching and looking! Purchase 3 Retired Stamps from my retired stamp list and receive the 4th* FREE!! Purchase $60 of my retired stamp sets, wheels, sizzix items and receive FREE Shipping too!!!! Want to buy more than $60 contact me for details. Place a $50 order or more with me starting today May 28-May 31, 2016 receive the new Enamel Shapes from the upcoming NEW Catalog!!! I am sooo excited about these fun and new enamels! These will be available in Brights, Subtles, and Regals your choice what color family you would like to receive. *Enamel Shapes will be mailed out to you in June along with my thank you gift for June. Today's share is my April Hostess Club Project for my 6/$25 Hostess Club members!! Each month my club members receive a completed project that I created along with typed directions, video tutorial and a paper kit to recreate the project of the month. This is just one of the fun perks for being in my hostess club! My 6/$25 Hostess Club is perfect for anyone on a budget!! For all the details please visit my 6/$25 Club Page. If your looking for a club with a little more then my 6/$50 Hostess Club is the one for you! It has a few more special perks for club member's. Every month club members get access to an exclusive on-line site where I post 4 projects, 4 Mini PDF's and 4 Video's for each project. Here is a sneak peek at March's 6/$50 Hostess Club Projects. April's Club projects focused on using the April's Customer Promo which was White Perfect Accents! The 6/$50 Club also received the four completed projects above. For all the details visit the 6/$50 Hostess Club Page. Cut a piece of Subtles Designer Series Paper Stack (Pool Party Script Pattern). Take the stamp from Enjoy the Little Things Stamp Set; ink in Wild Wasabi and stamp onto the Wild Wasabi card stock. Cut a piece of Bermuda Bay card stock; zip through the Big Shot with the Arrows Embossing Folder. Tie a piece of 1/8 Bermuda Bay Stitched Ribbon around the gift card holder. Take the stamp from Enjoy the Little Things Stamp Set; ink it in Wild Wasabi and stamp onto a piece of Whisper White card stock. Punch out with the 2 1/2" Circle Punch. Punch out stars in Silver Glimmer Paper, Crumb Cake and Pool Party card stock using the Medium Star Punch and Itty Bitty Accents Punch Pack. Here is the inside. I just added some Whisper White card stock and created a pocket on the right side so that you can slide money or a gift card into it. Technorati Tags: #giftcardholder, #rubberredneck, #stampinup, #sudemo, #tutorial #graduation, Big Shot, Demonstrator Holly Krautkremer, Enjoy the Little Things, Gift Card Holder, Graduation, Memorial Weekend Sale, Promo, Retired Stamps, Rubber Redneck, Stampin' Up! Update: I've updated my Retired Stamps For Sale Page on what has sold! Thanks for looking and thanks to those that have purchased items!! I am pleased they are going to loving homes :) There is still a lot available! New Weekly Deals:Stampin' Up! has released this weeks Weekly Deals!!!! Take a look at the deals and place your order right away for these great, discounted products!! See all this WEEKS DEALS HERE. There is some awesome deals!!! The weekly deals will be offered while supplies last! When placing an order on-line from April 1-30, 2016 use this hostess code to tie your order to me and qualify for my customer promotions below!! Place an order through my Stampin' Up! On-line Store from April 1-30, 2016 and receive this card and a free mini pdf when you use the hostess code above. I will email you the mini pdf and mail out the card. Place an order of $50 or more (before shipping and tax) with me from April 1-30, 2016 and receive a package of White Perfect Accents!! I created the April Customer Hello Life Card using the Hello Life Photopolymer Stamp Set item #137136 from the Main Catalog (pg. 131) along with several other stamp sets listed below. Ink the Watercolor Wash Stamp Set ink Daffodil Delight Ink and stamp onto the Whisper White card stock. Ink the greeting from Hello Life Photoplymer Stamp Set in Tuxedo Black Memento Ink; stamp onto the center of the Whisper White card stock. Stamp the hearts from Hello Life Stamp Set in Melon Mambo Ink and stamp onto the Whisper White card stock randomly. Add a piece of It's My Party Designer Washi Tape on the left side. Punch out a piece of Old Olive card stock with the Banner Punch. Tie some Baker's Twine Combo Pack around the layers. Finish by adding a White Perfect Accent and some Brights Sequin Assortment. Technorati Tags: #stampinup, April Customer Promotion, Demonstrator, Hello Life, Holly Krautkremer, It's My Party Designer Washi Tape, Rubber Redneck, Stampin' Up! When placing an order on-line from March 1-31, 2016 use this hostess code to tie your order to me and qualify for my customer promotions below!! Place an order through my Stampin' Up! On-line Store from March 1-31, 2016 and receive this card and a free mini pdf when you use the hostess code above. I will email you the mini pdf and mail out the card. If you would like to join my monthly newsletter email list please email me at rubberredneck@gmail.com I send out a monthly new's letter with Stampin' Up! Sales, My Promotions and etc. I don't share your email addy with anyone! The newsletter has went out for March too!! Place an order of $50 or more (before shipping and tax) with me from March 1-31, 2016 and receive sample pack of our gold and green ribbon! Sample of the Ribbons you will receive with a qualifying order. I created the March Customer Lucky You Card using the Something to Say Stamp Set (W) item #134177 (C) item #134180 from the Main Catalog (pg. 108) along with several other stamp sets listed below. Create the fun background by sponging Old Olive, Hello Honey, Mint Macaron and Cucumber Crush ink onto Whisper White card stock. Take the stamp from Gorgeous Grunge Stamp Set; ink it in VersaMark and stamp onto the Whisper White card stock twice. Cover with Gold Stampin' Emboss Powder. Tap of excess powder and heat set with Heat Tool. Take the stamp from Enjoy the Little Things Stamp Set; ink in Mint Macaron and stamp off onto a piece of scratch paper. Stamp onto the Whisper White card stock. Take the stamp from And Many More Stamp Set; ink it in Tuxedo Black Memento Ink and stamp onto the Whisper White card stock. Create a clover using the heart stamp from Something to Say Stamp Set; ink it in Cucumber Crush. Finish by adding a Gold Basic Metal Button and some Rhinestone Basic Jewels. Tip~ The Gold Basic Metal Button will hide the hearts making it look like a clover. Dh and I have been very busy around here with work and getting our house ready for a showing this weekend. Earlier in the week I finally finished my organization of my craft room which I will be sharing pictures in the next few weeks. I also FINALLY got all my wood mount stamps that I didn't want to part with converted over to the cling!! Whoop Whoop! Today's share is the Number of Years anniversary card that I shared a sneak peek of this project in my Occasions Catalog Idea's Video Part 1 Blog Post HERE. It uses the Number of Years Photopolymer Stamp Set item #140653 from the Occasions Catalog (pg. 11). You can purchase this set with the framelits as a bundle to save 15%. I also added this card along with other items to my Etsy Store. Take the stamp from Number of Years Stamp Set; ink it in Old Olive and stamp onto the Old Olive card stock in the bottom right corner. Add a beautiful piece of English Garden Designer Series Paper. Take the stamps from Number of Years Stamp Set; ink them in Daffodil Delight, Old Olive, Rose Red and Blushing Bride. Stamp onto a piece of Whisper White card stock to create the gorgeous flower setting. Close up of the front. So pretty! I added a piece of Linen Thread and Metallic Foil Doilies (Gold) to the center. I took the stamps from Number of Years Stamp Set; inked them in Meadow and Daffodil Delight. I stamped onto a piece of Whisper White card stock. To finish the card I added some Pearl Basic Jewels and a Regals Candy Dot perfect accents for any project! On the inside I just added a piece of English Garden Designer Series Paper. Technorati Tags: #stampinup, Demonstrator, English Garden Designer Series Paper, Holly Krautkremer, Number of Years, Occasions Catalog, Rubber Redneck, Stamp Set, Stampin' Up! I have a LOT to share today with you all :) The calendar I shared for the blog hop; I will be sharing the details on Tuesday February 23, 2016. Along with a surprise for all 2015 class members. Update: I've updated my Retired Stamps For Sale Page on what has sold and I added some more! Thanks for looking and thanks to those that have purchased items!! I am pleased they are going to loving homes :) There is still a lot available! New Sale-A-Bration Items: Stampin' Up! has released 3 new items for Sale-a-Bration. Whoop Whoop For every $50 purchase (before shipping and tax) you can choose one of the Sale-A-Bration gifts when you place your order with me! Today's share is a card I created to play along with a challenge in my Fresh Cuts On-line Class. The class is over but you can still purchase the class and get 6 fabulous and beautiful projects with step by step photos in a downloadble PDF's along with Video Tutorials!!! 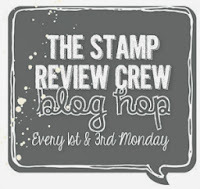 Lots of great ideas from the main Stampin' Up! Catalog! This card uses the You've Got This Stamp Set (W) item #139572 (C) item #139575 from the Main Catalog (pg. 113). I add a piece of 2014-2016 In Color Designer Series Paper Stack across the bottom of the card base. These colors will be retiring this year. Sale-A-Bration is the perfect time to stalk up on them!!! Zip a piece of Perfect Plum card stock through the Big Shot with the Honeycomb Embossing Folder. Take the stamp from You've Got This Stamp Set; ink it in Tuxedo Black and stamp onto Whisper White card stock. Color the image in using the 2014-2016 In Color Markers and Regal and Subtles Markers. Wisteria Wonder 1/2 Seam Binding adds a soft look to the card. Take the stamp from You've Got This Stamp Set; ink it in Perfect Plum and stamp onto a piece of Whisper White card stock. Punch out the image with the 1 3/8 Circle Punch. Add some Subtles Candy Dots to finish off the card. I've updated the list and still have lots of Retired Stamps left for sale!! There are some great deals to be had!! Some of these sets ar BRAND NEW!!!! Purchase $50 off my retired stamp list for sale HERE and you will receive FREE SHIPPING on them!!! I only accept pay pal or if you are local I will take a check. Please note ~ I will be shipping them the least expensive way for me. Hurry and get them before they are gone!!! Today's card I created to play along with a challenge for my Frosty Kisses On-line Class.The class is wrapping up but you can still purchase the class and get 14 fabulous and cute projects with step by step photos in a downloadble PDF along with Video Tutorials! Lots of ideas!! This card uses the the Peachy Keen Stamp Set. This set is just too cute! It has some framelits that go with it too! I also listed this card in my Etsy Store!! My base is Midnight Muse. I cut a piece of Raspberry Ripple and Summer Starfruit card stock. I ran the Summer Starfruit card stock through the Big Shot with the Honeycomb Embossing Folder. I cut a piece of Chocolate Chip card stock. I took the stamp from Peachy Keen Stamp Set; inked in Chocolate Chip and stamped on the right side. I cut a piece of 2012-21014 In Color Designer Series Paper Stack. I cut a piece of Chocolate Chip card stock. I punched out one side with the Scallop Edge Border Punch. I wrapped some Whisper White Baker's Twine around the left side of the layers. I attached the layers to the front of the card with Stampin' Dimensionals. I took the stamp from Peachy Keen Stamp Set; inked in Midnight Muse and stamped onto a piece of Whisper White card stock. I took the stamp from Peachy Keen Stamp Set; inked in Summer Starfruit and stamped onto a piece of Whisper White card stock. I punched out the saying with the Decorative Label Punch. I took the stamp from Peachy Keen Stamp Set; inked in Raspberry Ripple and stamped onto a piece of Whisper White card stock. I die cut out the image using the Big Shot and On Film Framelits. I attached all three pieces with Stampin' Dimensionals to the card front. I added a double Baker's Twine Bow and some Rhinestone Basic Jewels to finish it off. I cut a piece of Raspberry Ripple and Summer Starfruit card stock. I ran the Summer Starfruit card stock through the Big Shot with the Honeycomb Embossing Folder. I cut a piece of Whisper White card stock. I took the stamp from Peachy Keen Stamp Set; inked in Midnight Muse and stamped on the right side. I cut a piece of 2012-21014 In Color Designer Series Paper Stack. I cut a piece of Chocolate Chip card stock. I punched out one side with the Scallop Edge Border Punch. I wrapped some Whisper White Baker's Twine around the bottom of the card.